Hi! Welcome! I am so excited to be here! A little while ago, I was invited by O'Brien Press to participate in the"Stand By Me" Blog Tour celebrating Judi Curtins' latest(and 25th!) book; Stand By Me. Judi Curtin? Friendship? Time-travel? I'm there! 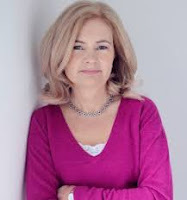 So following Sarah Webb (https://www.sarahwebb.info/ ) and her wonderful chat with Judi about their longstanding friendship and writing life; and Jenny(https://thebookstheartandme.wordpress.com/ ) with her marvelous commentary on the book itself....(go ahead, take some time and play catch-up, if you haven't seen them already. They are fab! ), it's my turn! ( I do want to say, they are hard acts to follow.) Here are some questions I had for Judi. I hope you find the answers as fun and interesting as I did. - The time-honoured theme of friendship figures prominently in this book, as with all your others. I was wondering if you could give me a personal view on the importance of this kind of friendship in your writing. Judi: Stand By Me is my 25th book, and I think it's fair to say that each one deals with the theme of friendship to some extent. For me, friendship is hugely important, no matter what age you are, so it seems natural to have it as the centre of my writing. I try to convey all kinds of friendships, from nurturing ones to the toxic kinds we all could do without. I like to think that some of my characters are people my readers would choose to be friends with. - You've used time-travel as a device before in The Mystery Tour books. But Time After Time and Stand By Me seem to use it as a means of exploring personal history, as opposed to exploring historical events. What inspired you to take this route? Judi: Well-spotted - there's a definite distinction between the two series. For me the new series came from a desire to know more about the lives of my parents and grandparents. (I've recently helped my father to write his life story.) No matter how many old stories I listen to, or how many photographs I look at, there's inevitably something missing. That's why I let my characters go back in time so they can truly relate with their relatives' younger selves. I'm letting my characters experience something that's impossible for me. - The inter-generational relationship between older and younger family members has always fascinated me; how it seems to circumvent the parent-child relationship in some way. Could you say something about Beth and Mollys' relationship with their Uncle Graham...their view of each other and how easy or difficult it is to write that? Judi: I love that Graham is unconventional and not like what the girls might expect of an older person. (They think 70 is ancient!) The relationship works because all parties are open-minded, and allow themselves to enjoy people for who they are, rather than the roles society expects them to adopt. I enjoyed writing about these characters, but it wasn't always easy, since I'm neither 12 nor 70! - Rico, keeper of the time-travel doorway, seems to be an integral, yet very much background part in the story. How do you view his role? Is he 'teacher', 'gate-keeper', 'accidental participant? He is an interesting character! Judi: I've deliberately kept Rico in the background, so there's an air of mystery about him. He's definitely not an accidental participant, but beyond that I'm not saying. I'm hoping to write another Beth and Molly book, and I might allow Rico a greater say in this one. 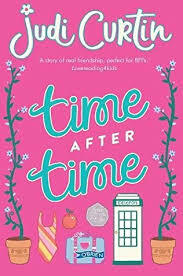 - It hasn't escaped me that the titles for these books; Time After Time and Stand By Me; take their titles from songs popular in the decades that Molly and Beth visit. How do you feel in regards to the importance of this in setting the scene or tone of the story? Judi: Music is a great way of taking you back, and we all have songs that can take us to key moments in our past. 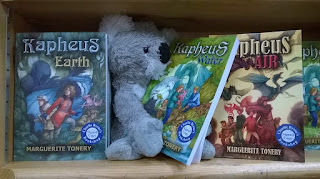 For me, a great part of writing time-travel books is the fun I can have by immersing the young reader in the time periods they won't have experienced themselves. This involves music, fashion, food and more, and it's a huge part of what I'm trying to achieve. I have so many more questions! But, I guess I'll just have to keep reading to find out. 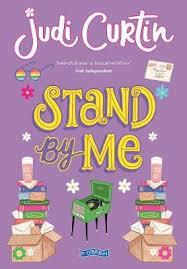 And, dear reader, please continue to follow the "Stand By Me" Blog Tour. There are two more stops coming up. I know you're going to love them! Thanks to Judi and to O'Brien Press for including me....I have really enjoyed this. Also, there's a review of "Stand By Me" on the 'Irish Authors....' page of Fallen Star Stories for you. Check it out. 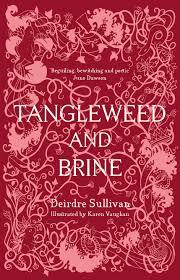 On the 7th of September, an extraordinary book was published by Little Island; Tangleweed and Brine by Deirdre Sullivan. 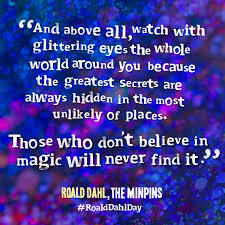 It is a completely enchanting book. Beautiful to hold with it's 'packaging' that reminds us of those wonderful volumes of old and lavishly illustrated by Karen Vaughan in a style reminiscent of Arthur Rackham or Harry Clarke, Tangleweed and Brine offers so much, and it does not disappoint. The tales retold; Cinderella becomes Slippershod, Rumplestiltskin is Meet the Nameless Thing and Call It Friend, Bluebeard - The Tender Weight etc; give the reader a deeper, powerful, more enticing reading that takes us deeper into the hearts and minds of the characters, revealing the intimate and deeply personal within the story. It twists and turns the stories back onto themselves and leads out again to destinies that are more felt than realised. It gives comfort and is unsettling at the same time. The language is poetic, dreamlike and flowing as each story offers us a journey that we know we must take. And this book is a most excellent companion as we travel. 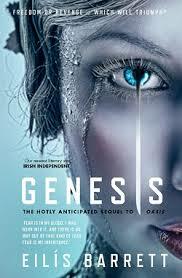 Filled with intrigue, horror, resilience, strength and gentleness, it is not for the very young or the faint-hearted. It is for the bold or for those that want to be. In fact, to simply call this book a retelling does it a grave disservice. Tangleweed and Brine does what fairytales are supposed to do; to grow and change with time and place, to lead us into deeper thought of ourselves and those around us. 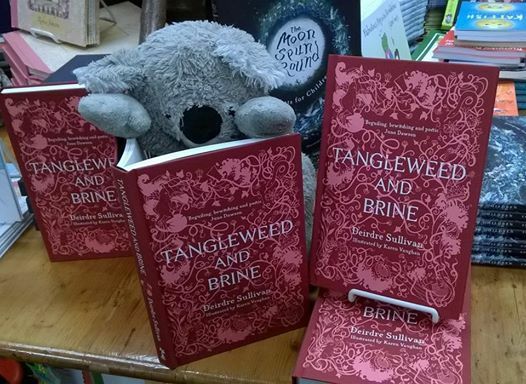 At a time when we, the readers, are bombarded with the reclamation of histories and stories (not at all a bad thing and something that, well...it's about time) Tangleweed and Brine is an exquisite exploration of iconography and effects on life; of what makes us ourselves. It is dark, yet illuminating; bewitching, yet revealing. It is simply sumptuous. I have placed this review here because Tangleweed and Brine denies categorisation. It is utterly contemporary and also classic. 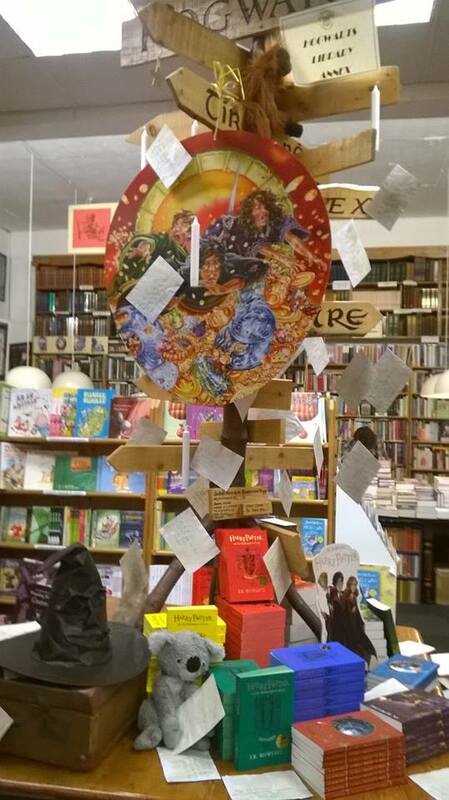 It will bring you home, as well as entertain and delight in the best of story-telling traditions. This is a book to keep close at hand and read when you feel the need for sustenance and nourishment. Trust me...you will be nourished well. 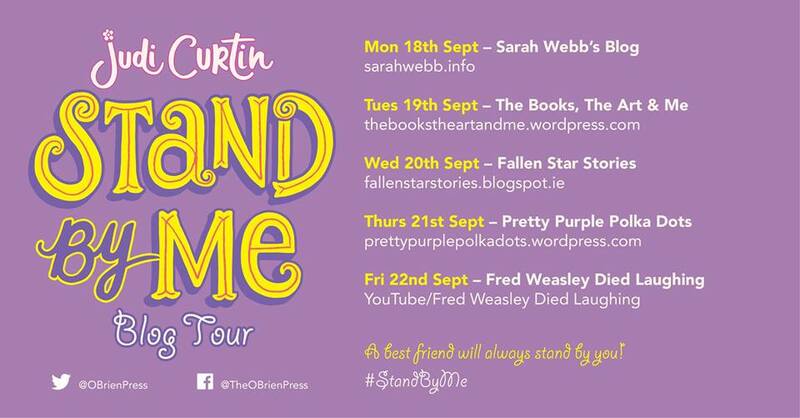 Stand By Me Blog Tour! Big news here! As I had mentioned in my previous entry, I am utterly pleased and over the moon to be part of the O'Brien Press 'Stand By Me' Blog Tour. Starting tomorrow, five Irish bloggers; Fallen Star Stories included; will be celebrating the publication of Stand By Me by Judi Curtin. This is book two in her Molly and Beth series (book one being 'Time After Time') AND her 25th book to be published. No...I'm not going to give anything away, yet. I'm just inviting you all to jump on the blog tour bus. Starting tomorrow, there will be a blog a day, beginning with the one and only Sarah Webb and finishing up on Friday with vlogger Fred Weasley Died Laughing. All the information you need is one the graphic above, so please, join us! You'll have a great time, learn a lot about Judi, her books and her writing life and I know you'll want to read 'Stand By Me'! Next week, on September 22nd, O'Brien Press is launching the 25th book by the wonderful Judi Curtin (and the 2nd in her new Molly and Beth series), Stand By Me. While the Launch is taking place in Dublin, in the upcoming week to the event, there will be ongoing celebrations. This includes a blog tour, starting Monday the 18th; which I am very thrilled to be taking part in. Watch this space for details! 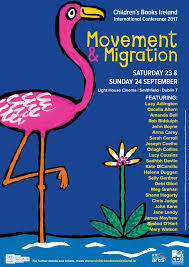 Culture Night in Galway is on the 22nd. At Charlie Byrne's Bookshop, local authors who have published a new book in the last year are invited to read for 5 minutes each in what can only be described as an extravaganza of great talent. 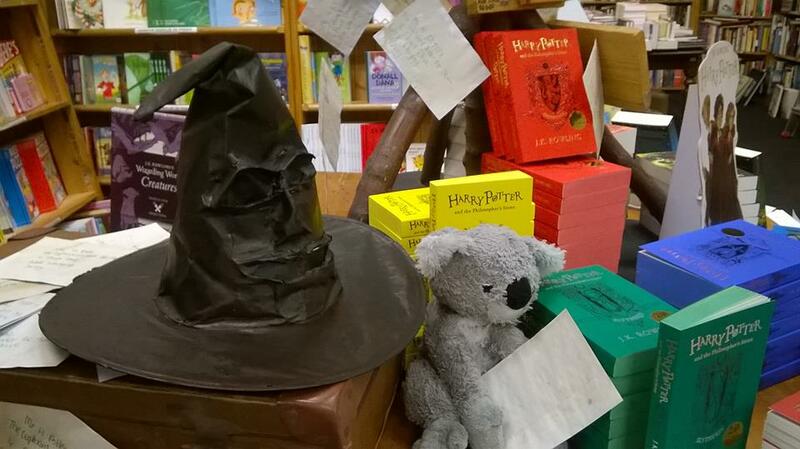 We'll have a few YA authors calling in; including Eilis Barrett and LJ Sedgewick. If you're in Galway, just be there! 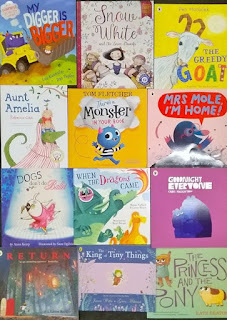 Add to these events Saturday storytimes, 9-11 book club meetings and generally more reading and reviewing. So, as you can see, I am going to be a very busy lady! You may be thinking you hope it gets quieter in October. Don't be so silly; of course it doesn't! Sneak preview? 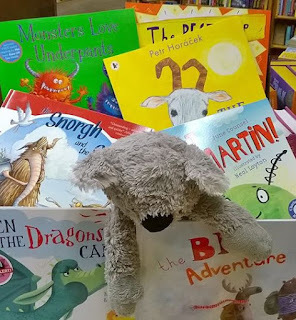 Okay...you will be hearing more about the CBI Childrens' Book Festival; Baboró, more storytimes, more book clubs and then in November; a brand new Childrens' Book Festival launching in Galway! Then there's the holiday season. Don't worry. I'll get some sleep in January, I reckon. Wow! Time flies...here we are, almost in the middle of September. So much has been happening inthe world of books, I hardly know myself. 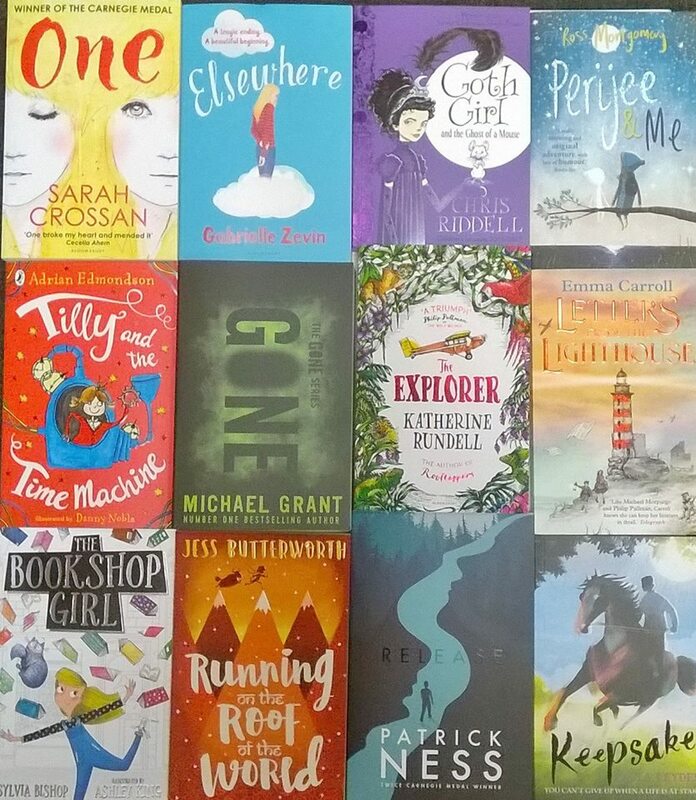 I thought I'd start by giving you all a quick glimpse of some of my bestsellers of the summer.... so here they are! 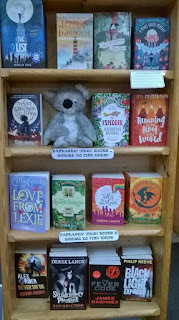 One of my great joys in working at Charlie Byrnes Bookshop is that, not only do I get to recommend wonderful brand new childrens' and YA books, but I have access to a steady supply of the not-so-new-but you-have-to-read-it-right now books. The twelve in the photograph on the left were my best-sellers of the summer. 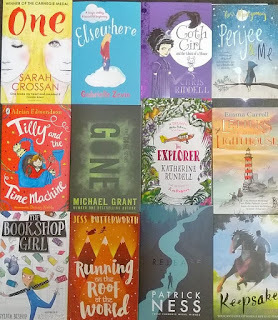 Letters From The Lighthouse and The Bookshop Girl ran a competitive race for the number one slot, but all the others were not far behind. And, I also have to add the Kapheus series by Marguerite Tonery to the list. So many people, both young and old are really plugged into Elisa and Jamie's story as they navigate between their daily life in the west of Ireland and Kapheus, the fantastical world of light. 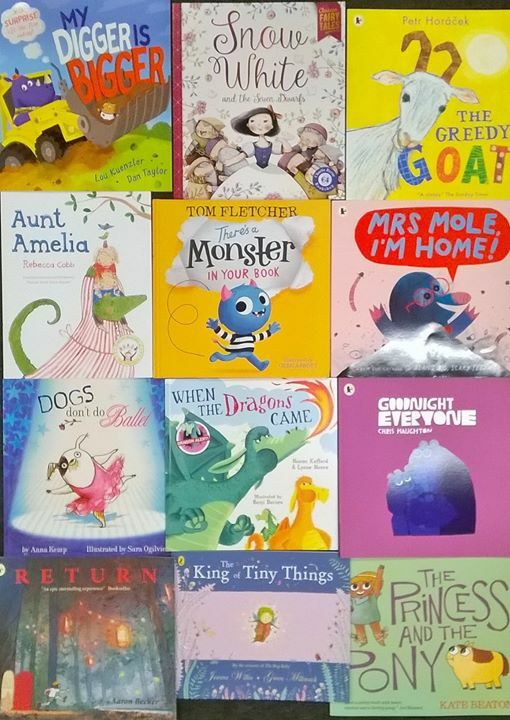 Storytime is always very popular, with between 25 and 30 (or more!) young story lovers coming in every Saturday at 11. 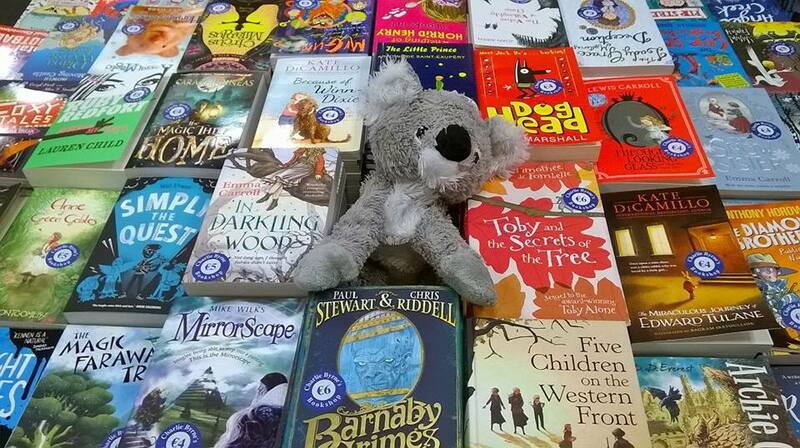 The picture books are enjoyed by young and old... the readers, listeners, parents, aunties and uncles, grandparents...and bears, of course. Pop in some Saturday, if you're passing. Everyone is more than welcome. In August, some of my colleagues went on a book-buying expedition. 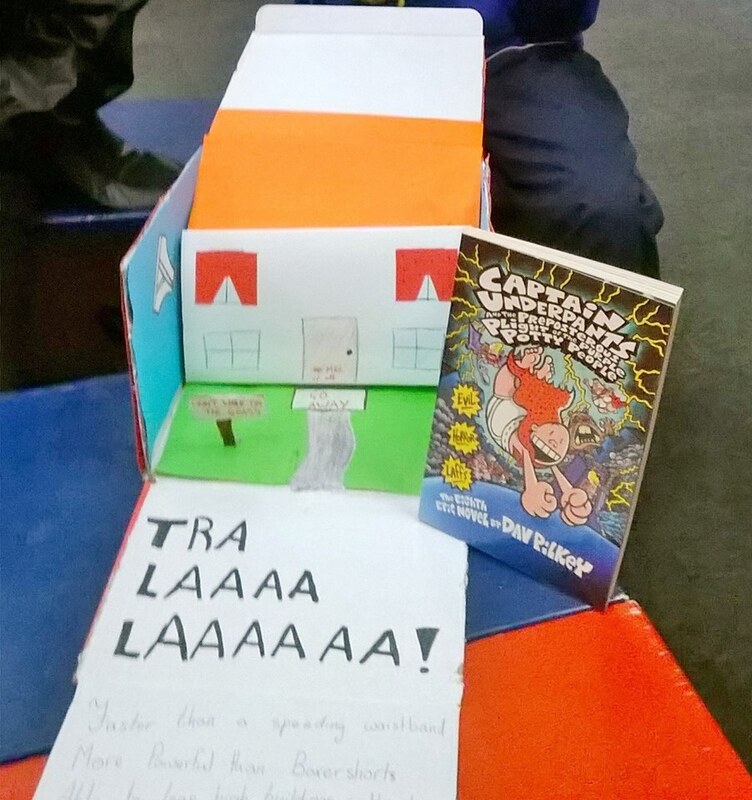 (A huge thank you to Ruth and Michaela!) 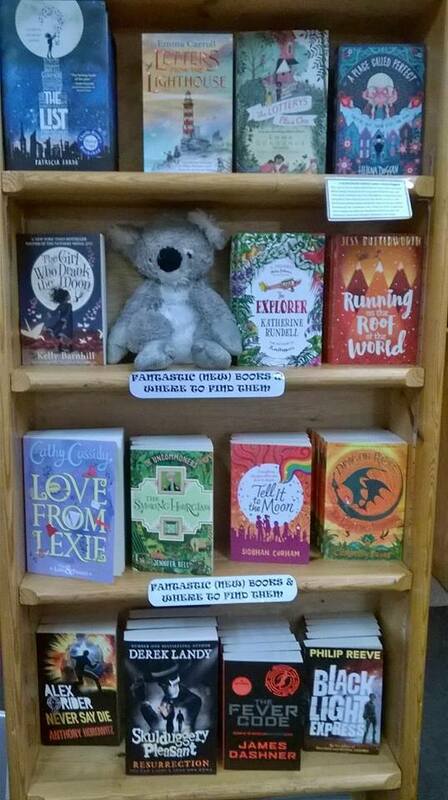 This filled my tables and shelves with an exciting number of really great books for all ages of young people. And the book clubs started back up after a summer hiatus. All the 9-11's are raring to go. 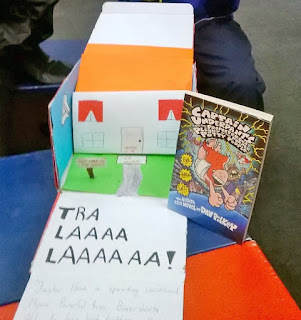 One of the group, Fiona, made this exceptional set design based on Captain Underpants, which is 20 years old now, I believe...and still entertaining us all.